Gov. 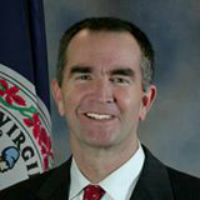 Ralph Northam will address VCU and VCU Health students, faculty and staff on the issue of the opioid epidemic during a Grand Rounds lecture next week. Grand Rounds are a traditional patient-centered education method at medical schools, often consisting of presentations on specific medical problems and discussion of treatments. WHERE: VCU Medical Center Campus James W. and Frances G. McGlothlin Medical Education Center, 1201 E. Marshall St.
Last year, 1,227 Virginia residents died from opioid overdoses, according to the Virginia Department of Health. The death toll rose from 1,138 deaths in 2016, state health data showed. At VCU Medical Center, emergency department visits due to opioid overdoses more than doubled from 273 in 2015 to 657 in 2017. At VCU and VCU Health, efforts are underway to combat the opioid addiction crisis through treatment, research and education. Across the university and health system, VCU faculty members are changing the way pain management is taught and working together to quell the opioid addiction crisis in Virginia and across the country. The event is open to the public, but seating is limited. Overflow space will be provided to view the lecture on monitors on the MCV Campus. The lecture also will be livestreamed on VCU Health’s Facebook page.